DESOTO—It has been said that residents of DeSoto offer candidates the best voter turnout among the Best Southwest cities. So when area campaigns launch, DeSoto is often the first stop. A look at the voter turnout numbers at the Dallas County Election website and a glance at the map of southern Dallas and the surrounding area proves this is indeed true. During early voting numbers not only was the polling location at Disciple Central Community Church the top grossing location in the Best Southwest. But with 1297 ballots cast it was the second highest location for early voter turnout in the entire county. It was just behind a North Dallas polling location Our Redeemer Lutheran Church near U.S. 75 and Park Lane. District 3 Dallas County Commissioner John Wiley Price, who knows a thing or two about voter turnout agrees. Price says DeSoto is always a good city to campaign and with good results. 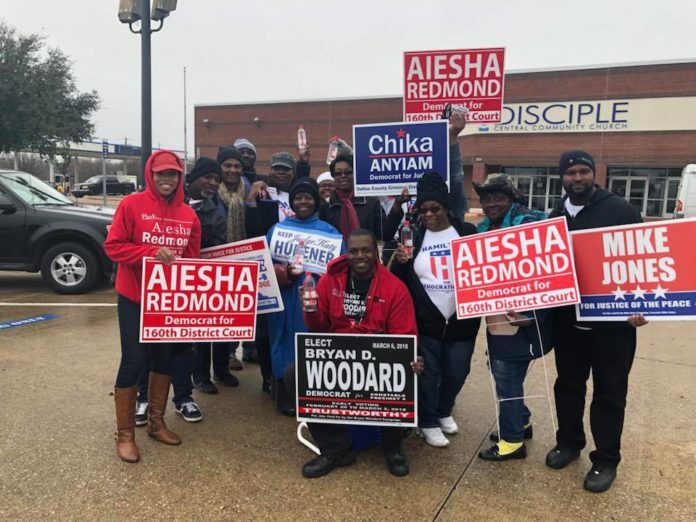 Even on Election Day DeSoto voters made a good showing at the polls. According to unofficial canvassing DeSoto votes cast in the Texas House District 109 race were almost equal to votes cast in other District 109 cities of Hutchins, Lancaster, Wilmer, Duncanville, South Oak Cliff and Cedar Hill. It’s important to note however that not only are DeSoto voters politically savvy, but they are also civically active. 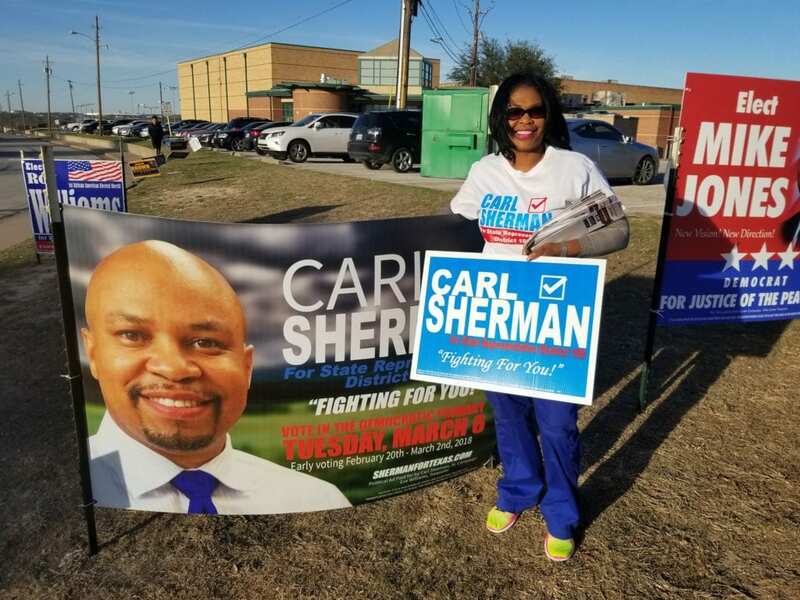 In fact, one DeSoto resident and campaign volunteer, Donielle Wilson took time from her busy schedule to man a polling station in neighboring Cedar Hill. Wilson said she also believes the reason turnout was so high in DeSoto for this particular election was because of the candidates. Wilson is referring to Carl Sherman who ended up in a runoff with challenger Deshaundra Lockhart for the District 109 State Representative seat. Both Sherman and Lockhart hail from DeSoto. Sherman is a former mayor there. Lockhart is a three time council member and at one point served under Sherman’s administration. Overall, in DeSoto and further infield, Texas Democrats have almost doubled 2014 primary turnout, breaking 1 million voters. This is the first time Texas Democrats have reached a million voters in 16 years and only the third time in the past 24 years. Members of the Dallas County Republican Party say they are confident of their candidates in future elections. Despite record Democratic turnout during the primaries.